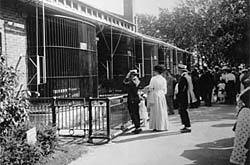 The Milwaukee County Zoo began in 1892 as a miniature mammal and bird display in Milwaukee’s Washington Park. 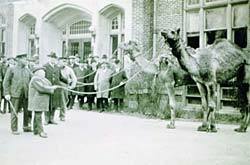 The display proved to be a very popular attraction, and by the turn of the century it grew to over 800 animals on 23 acres of land. During the next one hundred years, the Zoo experienced near-constant expansion, moving to a new 190-acre wooded site, now home to over 3,300 animals and 377 species.